It’s right about this time of the year (as temps slowly start to rise) that we can finally liberate our feet from our clunky heavy boots to something lighter and brighter, with more air to breathe! While it’s still a smidgen too early for espadrilles and strappy sandals, yet boots and brogues now feel too wintery, flat mules step in as the perfect in-between shoes of choice. 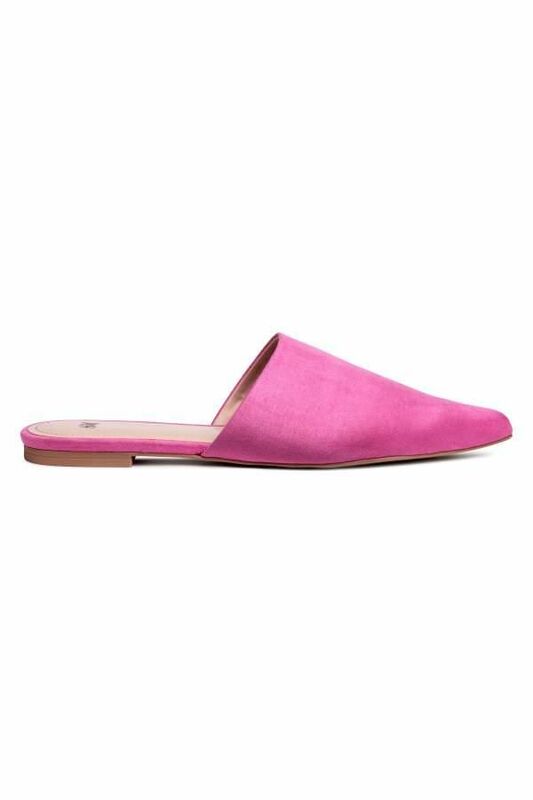 Comfortable, chic, and versatile enough to wear with practically every outfit, flat mules exude an air of polish—ideal for slipping on with a midi skirt or cropped pants at work or with boyfriend jeans or leggings on the weekend. From mules in vibrant hues to unique textures and simple classics, whatever style you decide on, these are definitively the easiest shoes to slide into this season. A pop of pink satin adds zest to every outfit. Trade your backless black loafers for ultra-chic white ones. Metallics pair beautifully with this season's trending pastels. Woven white leather screams warmer weather. Bold and bright hues are trending this spring. Warning: You may never want to take off these cozy shoes. The perfect pairing with your cropped denim. The buckle adds a polished touch. Available in Italian sizes 35 to 40. We're crushing on velvet pink bows. Versatile enough to wear with everything from dresses to denim. Dusty rose suede and ruffles win over our hearts. 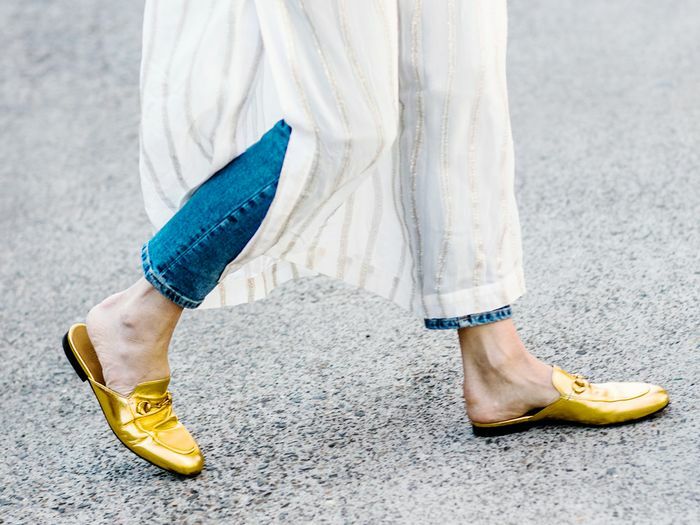 Up next, check out the mule flats that are topping our must-have list.